Hi friends! 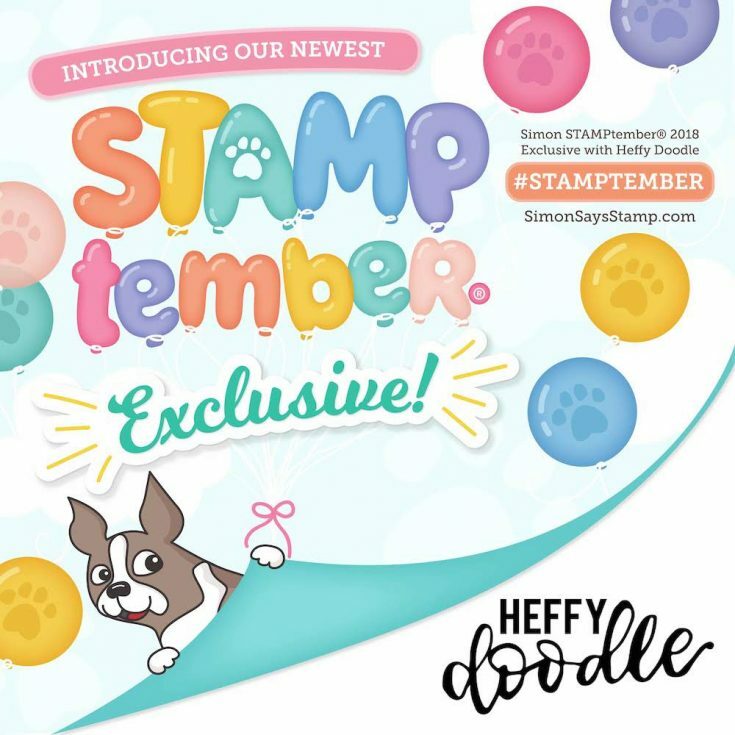 Welcome to the reveal of this super fun Heffy Doodle STAMPtember® exclusive, More than S’mores! This fun set includes an adorable squirrel, deer, and raccoon along with fun Autumn food icons and cute punny sentiments. 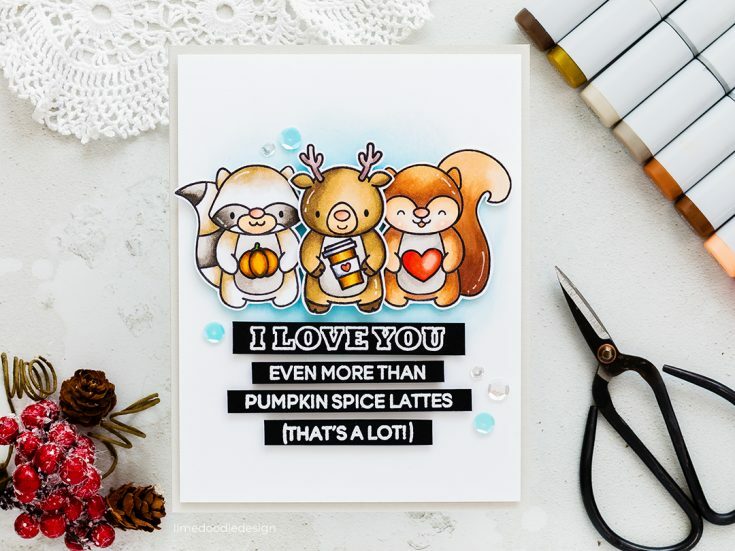 This adorable card by Debby Hughes showcases the trio of cute critters and has a fun sentiment about the ever popular PSL’s!! We love Heffy Doodle! Share the love by showcasing any projects you have made with their products below for a chance to win a $100 gift card to our store! Show us a project you made featuring ANY Heffy Doodle products for a chance to win a $100 Gift Card to our store!! Winners will be announced on October 1st! Such a great technique Nina and this stamp set is so sweet. A great card. That set is absolutely adorable! This stamp set is super cute! Love these inspirational cards too! Really sweet set. Definitely loving the autumn sets coming out. Cute card, Nina! Thanks for sharing the technique! Nina, this card is so cute! 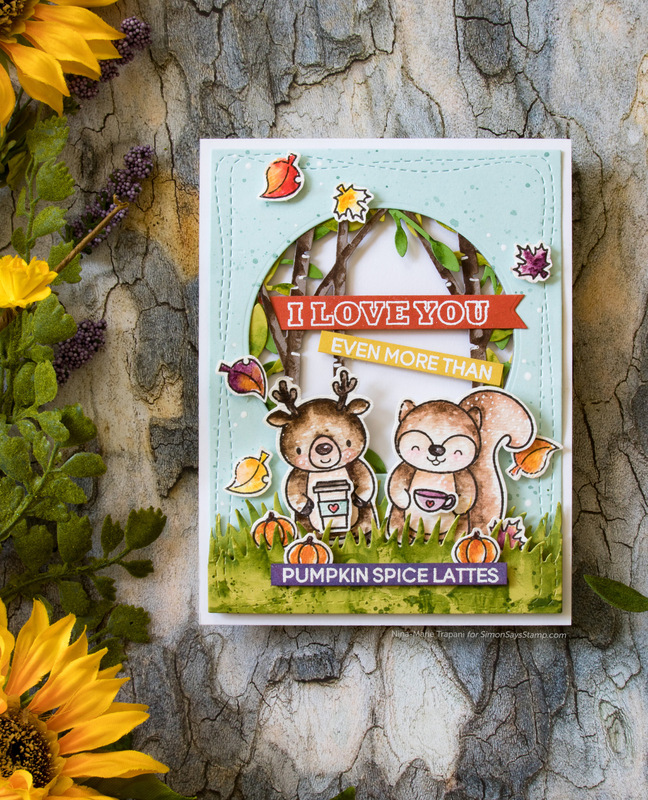 I love how you layered the leaf and tree backgrounds and those cute little critters are adorable. 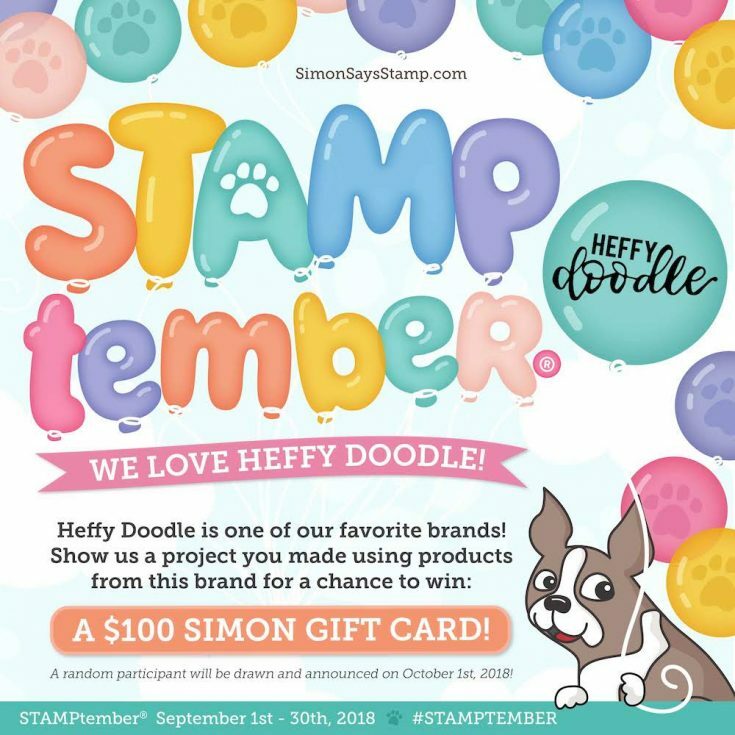 I love Stamptember, I just want it all–but of course the budget is not going to allow that! This stamp set is ADORABLE!! LOVE the fun cards!! I like Nina Marie’s dry coloring. Would like to learn more. Very cool! Cute cards & stamp set. Oh Boy my hubby is going to kill me!!!! Too CUTE!!!!! Love Heffy Doodle and these critters are mucho adorable! Can we link up previous cards? I made a few and shared on Instagram back in May. Cute card,love the little critters. Your coloring is amazing! Super duper cards! What a cute card! I always enjoy watching you color! I’m very much looking forward to playing along in this challenge. LOL…i won’t, however, be entering 10-20 times as some have done. 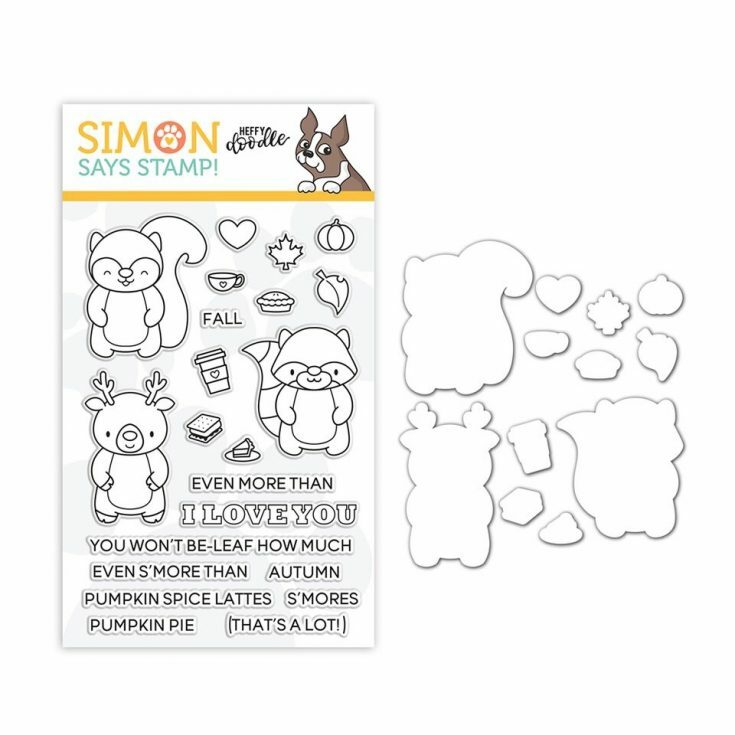 But I think Heffy Doodle Stamps are ADORABLE, and I do plan to make a card (possibly two) to play along. Thanks for celebrating and taking a closer look at this adorable stamp shop! Oh this set is just gorgeous! Such a cute card Nina-Marie and thank you for the great video tutorial with this awesome technique! These critters are literally irresistible ! !